02/09/2014 02/10/2014 Island Info Samui BANGKOK, KOH SAMUI, KOH SAMUI - News and Updates"ko samui", "samui thailand", ark bar beach resort, ark bar samui, ark chaweng, arkbar, “safe beach”; “gulf of thailand”; thai; “thailand new year”; thailand; thailande; surat-thani; “kho samui”; samui; “samui island”; tourism; destinations; samui; “samui island”;, ”island info samui”; ”island info koh samui”; ”Island Info Koh Samui”; ”Samui Island”; ”Samui Info”, beach, beaches, extension, holiday, immigration, info, information, Menu 2016, samui, Surat Thani, thai visa, Thailand, tour, tour info, travel, Travel Agency, travel agent, visa"ark bar"
Thailand’s Immigration Bureau has authorised 30-day extensions to tourist visas for residents of 48 countries and one territory (Hong Kong) in an effort to shore up tourism numbers hurt by the recent political crisis. Tourism Authority of Thailand governor Thawatchai Arunyik said the latest move would help increase the number of international visitors as well as those coming for niche-market activities such as volunteer travel, health and wellness, or sports. Thawatchai said the 49 source markets in question generated about half of Thailand’s total visitor arrivals, or roughly 13 million, last year. Holders of passports for the following countries are eligible for the visa extensions: Australia, Austria, Bahrain, Belgium, Brazil, Brunei, Canada, the Czech Republic, Denmark, Estonia, Finland, France, Germany, Greece, Hong Kong, Hungary, Iceland, Indonesia, Ireland, Israel, Italy, Japan, South Korea, Kuwait, Luxembourg, Liechtenstein, Malaysia, Monaco, the Netherlands, New Zealand, Norway, Oman, Peru, the Philippines, Portugal, Poland, Qatar, Singapore, Slovakia, Slovenia, Spain, South Africa, Sweden, Switzerland, Turkey, the United Arab Emirates, the United Kingdom, the United States, and Vietnam. Visitors can obtain the visa extension at immigration offices nationwide.The application process will cost 1,900 Baht per person. No further extensions will be allowed. If the application is denied, visitors will have to leave the kingdom within seven days of the expiry date on your current visa. 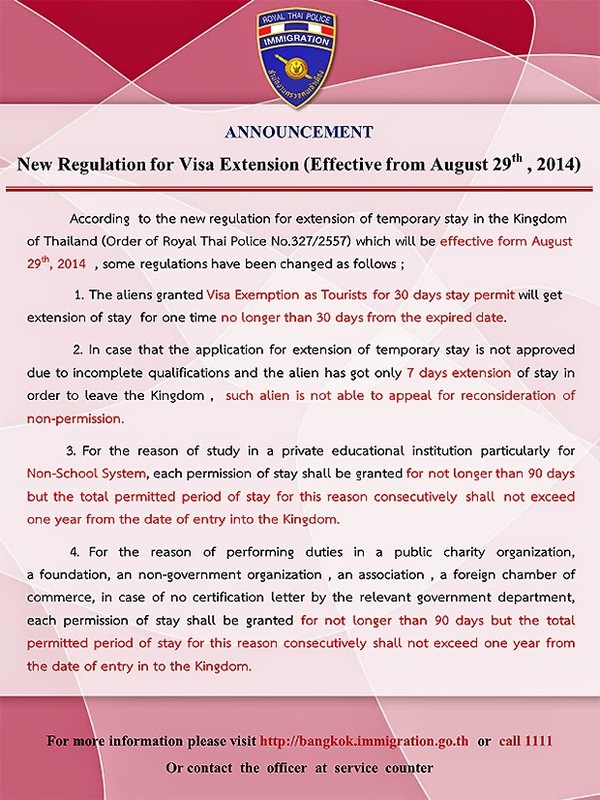 The official Thai Immigration confirmation of the tourist visa extensions. 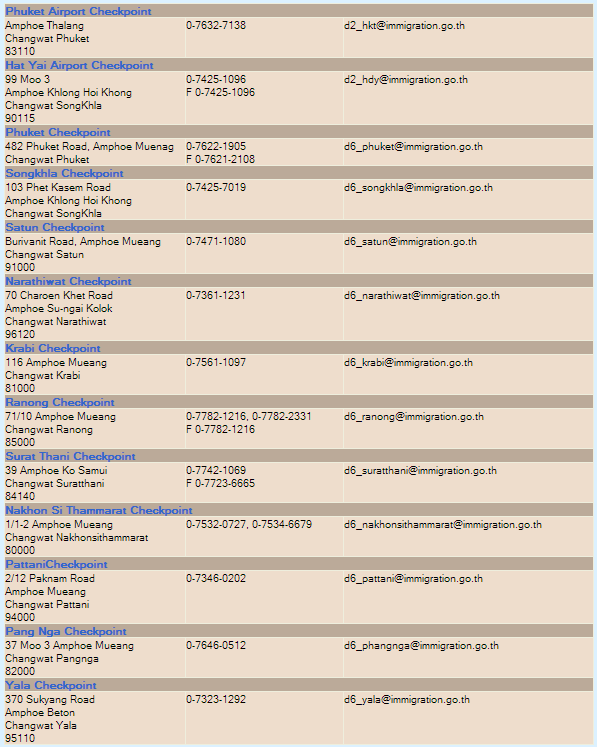 The southern Thailand Immigration Office contact details and locations. 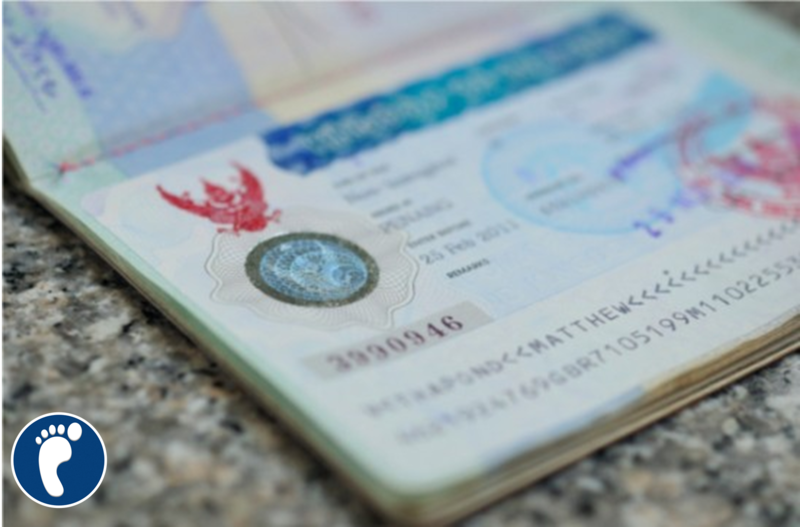 For the latest news and info about Thai Visa’s, go to the Thai Immigration website. Yes, it is in English! ← Where is Koh Samui ?